The movement therapy devices of the MOTOmed family enable the patient to decide whether he wants to train with or without motor. The innovative concept of simultaneous whole body training makes the MOTOmed muvi unique. The digital smart movement control responds to each user individually. The pleasant human design and the improved hygiene concept leave nothing to be desired in terms of quality, handling and ergonomics. This opens a wide range of possibilities and makes the MOTOmed muvi ideal for modern people in motion. 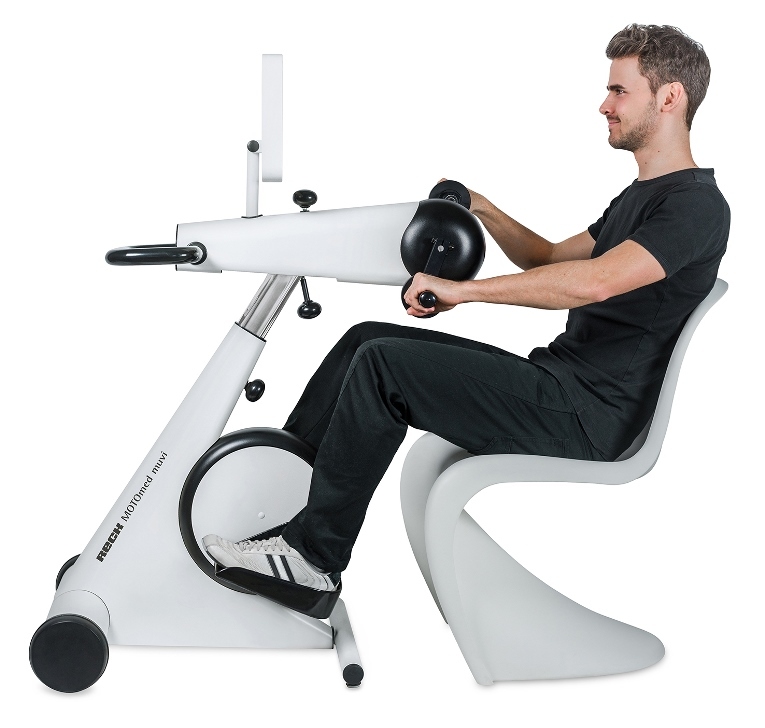 The unique MOTOmed muvi feature enables to train legs and arms at the same time. For the first time it is possible to train both areas simultaneously. This reduces the therapy effort and leads to more effective training results. The very simple, intuitive operation of the device makes it easy to use even for people with limitations. The new 12 inch color touch screen provides excellent legibility, the rotary operating panel is inclinable and the operating buttons can be positioned individually on the screen. Additionally, software updates can be loaded by USB stick. The MOTOmed muvi is easily adjustable in height and horizontal direction. Also the telescopic front stand and the quick release system allow for a simple and easy adaption to each individual user. By introducing the MOTOmed muvi the RECK Company responses to the current requirements of modern, future-oriented investment concepts of hospitals and facilities: All used materials can be easily cleaned and disinfected. Also the all metal construction guarantees high stability and durability. The MOTOmed viva2 brings professional movement therapy to your home. The well-proven MOTOmed features are rounded up by detailed biofeedback, software controlled therapy programs, and motivation and training games. The display with the color-coded system and the large easy feel buttons made for a simple operation. The MOTOmed viva2 offers a number of preassigned therapy programs from which you can select a suitable training flow. You can create an individual therapy program according to your needs. By this, the MOTOmed movement is consistently optimized and individualized. The MOTOmed viva2 provides a detailed (biofeedback) during the training and it enables you to train even more effectively. The exciting motivational training games increase the training success and are fun to play. The MOTOmed viva2 provides the possibility to document and evaluate your training results. The training can be set to be controlled by the pulse, another option is user engagement with the coordination training. 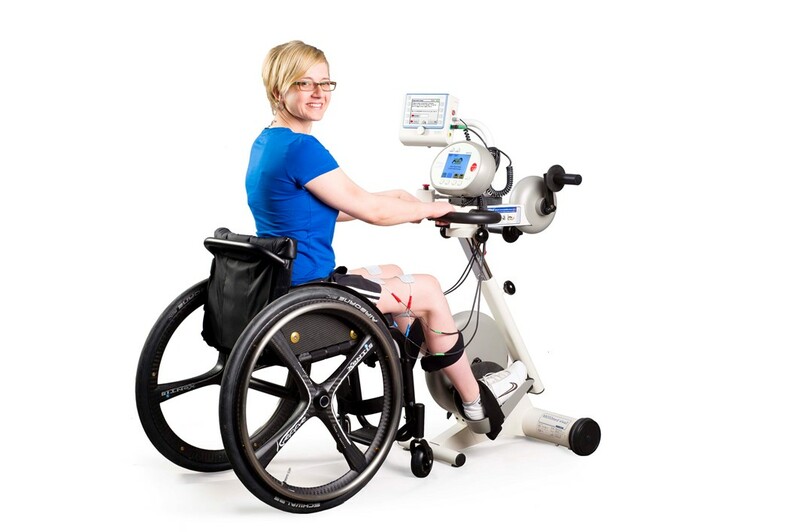 Furthermore, the MOTOmed therapy can be combined with functional electrical stimulation (FES). The MOTOmed is officially registered as a medical aid with the national health insurances in Germany. Therefore, under certain conditions there is a cost reimbursement for those patients with neurological conditions. Test the MOTOmed, free of charge and with no obligation Contact your local sales representative or the MOTOmed service team at +49 7374 1885. 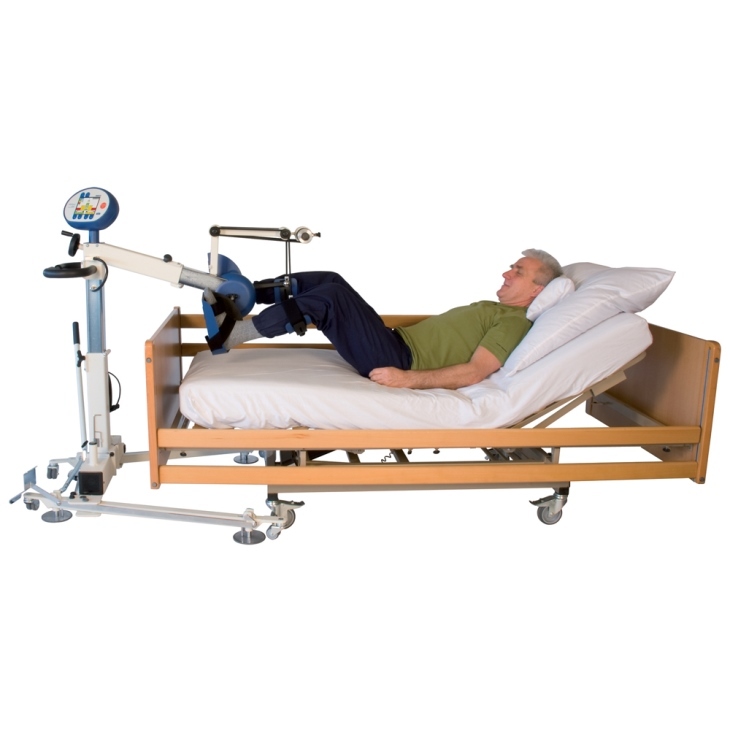 The MOTOmed letto2 helps to balance lack of movement in patients confined to bed. 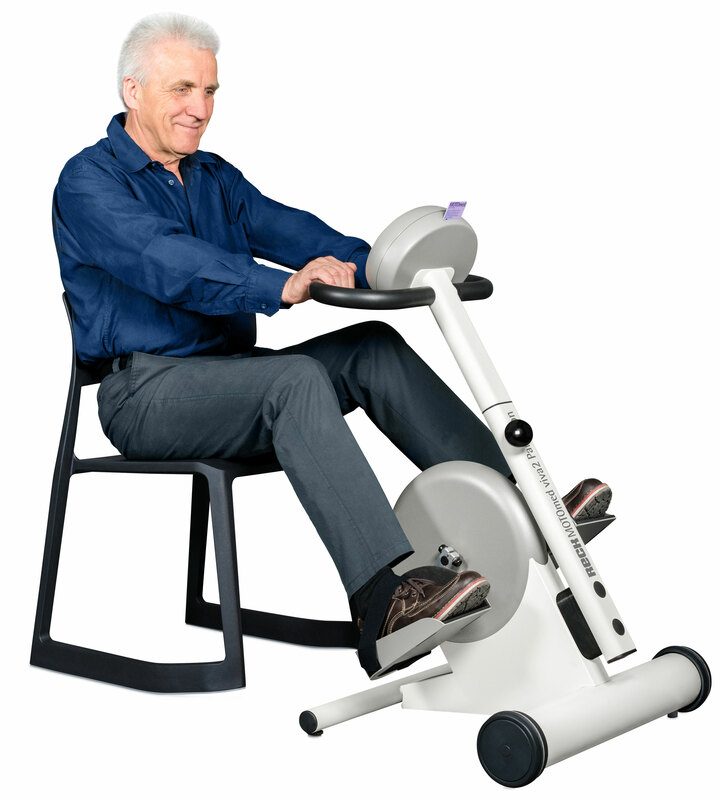 Patients can use the MOTOmed letto2 to train in a passive, motor-assisted, and active mode, from a hospital bed or a therapy chair. 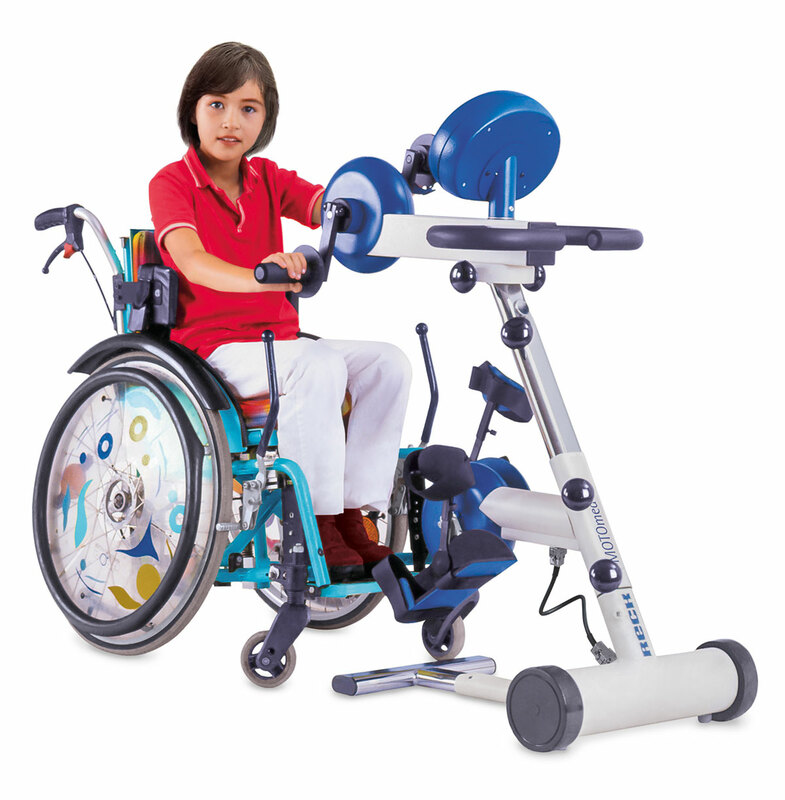 The MOTOmed letto2 provides a well-rounded therapy to patients in stationary care. It can also be effectively applied in home care. The specially constructed MOTOmed letto2 is stabilized with no mechanical connection to the bed or therapy chair. The foot pedal is used to lock the device in place. Easy-feel buttons, a big color screen and a color-coded system make for an easy operation. 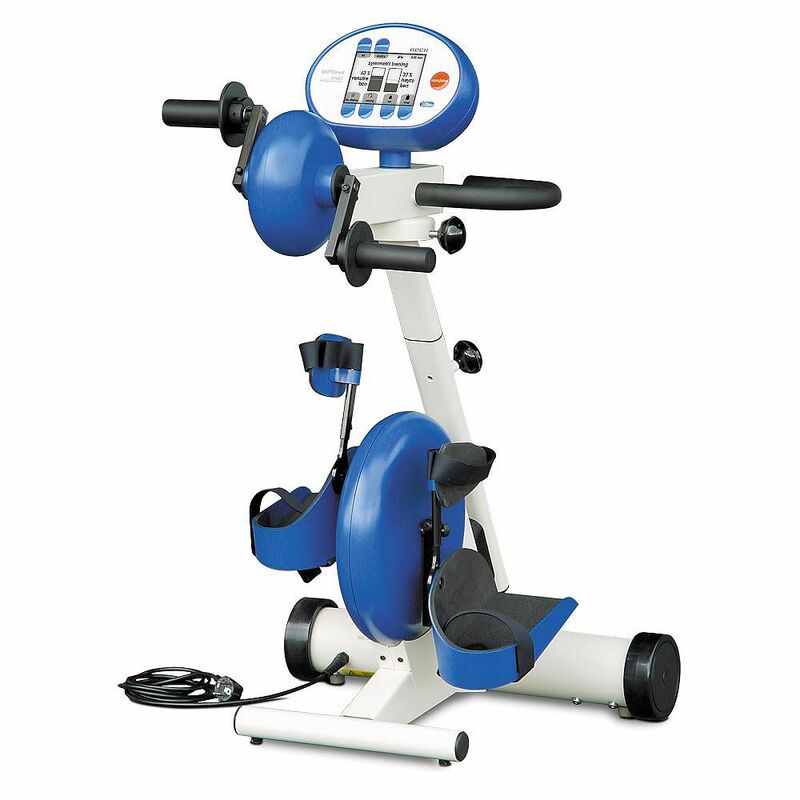 The MOTOmed letto2 offers operation-friendly handling and cost savings. Particularly in stationary care settings, but also in a home care environment, an effective daily therapy is offered. 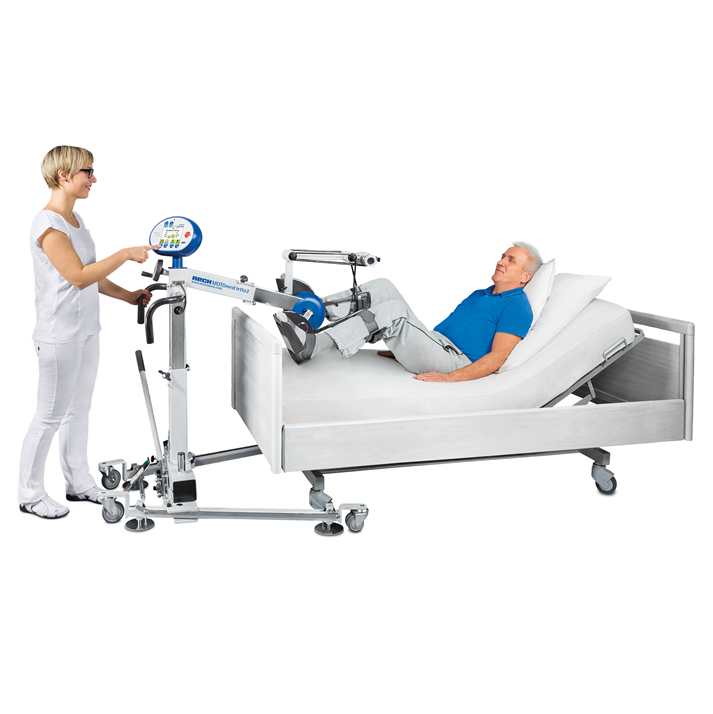 The letto2 model is optimally adaptable to a bed unit or patients’ needs due to its construction and the wide range of accessories such as spreadable chassis, knee flexion adjustment, or the pivot arm for operating panel. The MOTOmed is officially registered as a medical aid with the government health insurances in Germany. Therefore, under certain conditions there is a reimbursement of cost for patients with neurological conditions. Test the MOTOmed letto2, free of charge and with no obligation. Contact your local sales representative.